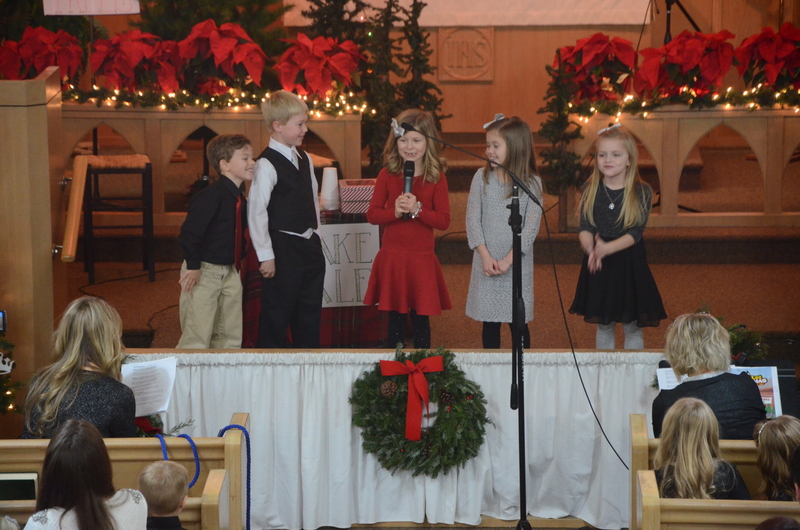 Pastor Ken Tubbesing welcomed visitors and members to the 5:00 p.m., December 24, 2016 MLC Christmas Eve Program given by the children of the Sunday School. 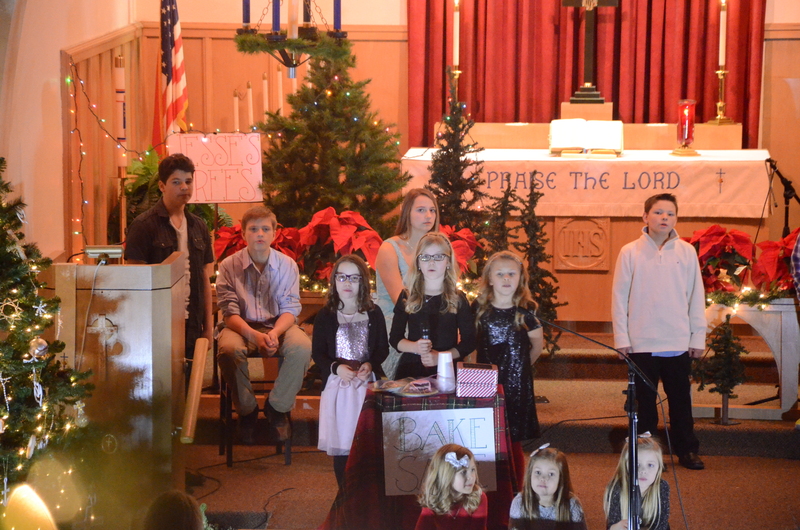 The program included a play entitled “A Tree Lot Christmas – Joining Jesus’ Family Tree”. 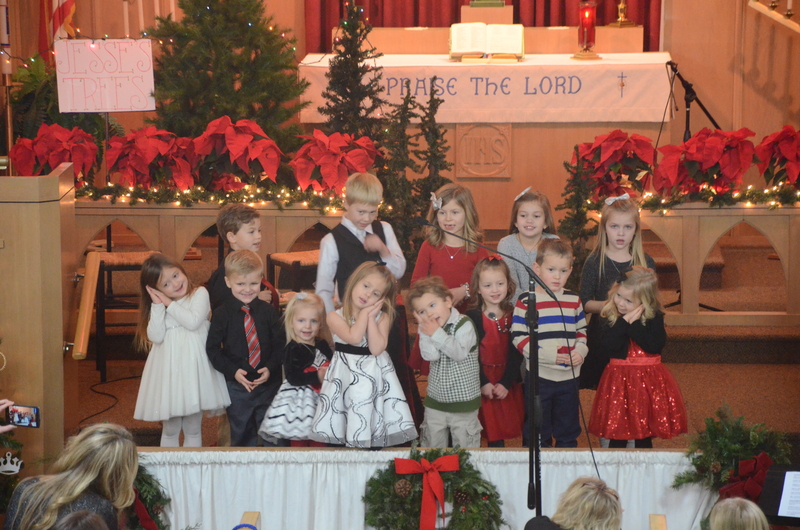 The play included compassionate and fun-loving kids demonstrating the powerful love of Christ to others. Like the evergreen trees the kids were selling in their play, we are forever rooted and growing in Christ’s love and as believers we are a part of God’s family tree! 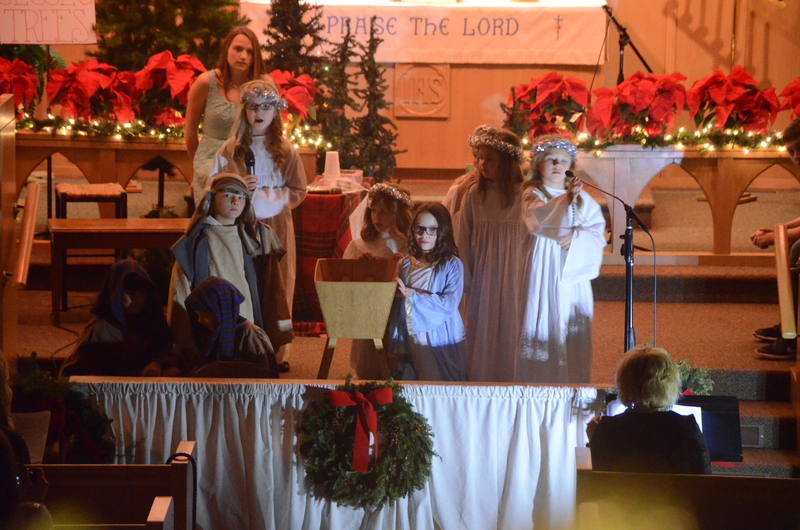 The play concluded with the story of the Nativity. The Sunday School Students, Kathie Grotrian (director), Tracie Beethe, Katie Eggers, Kristine Ideus, Amber Grotrian, Tia Miller, Megan Piper, Susan Pipe & Sara Sharples (Sunday School Teachers) Kyle Rippe (screens), Joan Bohling and Sherrie Behrends (piano & organ) and the choir all contributed to make the celebration of the birth of Jesus memorable for 2016!